I'm so thrilled to be participating with The Chirping Moms in their 12 Days of Toys giveaway. They've had some great giveaways the last several days (including some from Land of Nod and Micro Kickboard) and I know they have some even greater surprises tucked up their stylish sleeves for later this week. All week long you can stay on top of their daily giveaways here. 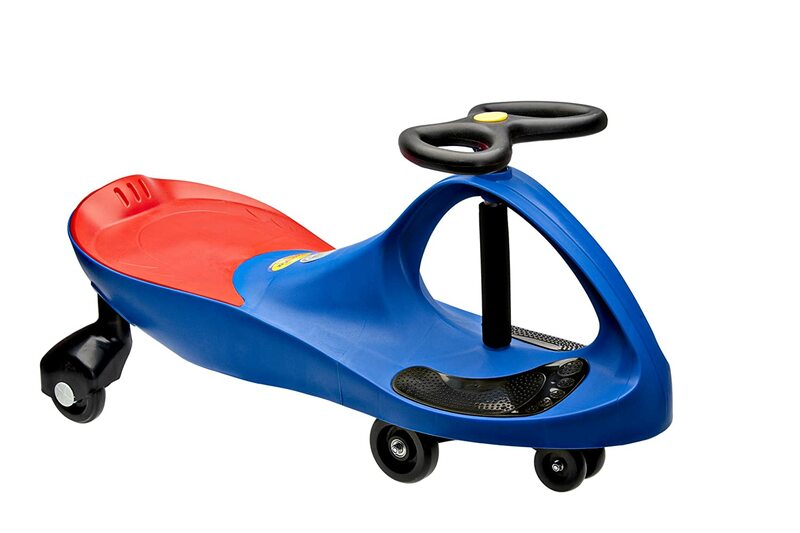 When I was asked to come up with a favorite toy to give away, I didn't think twice about the Original PlasmaCar. 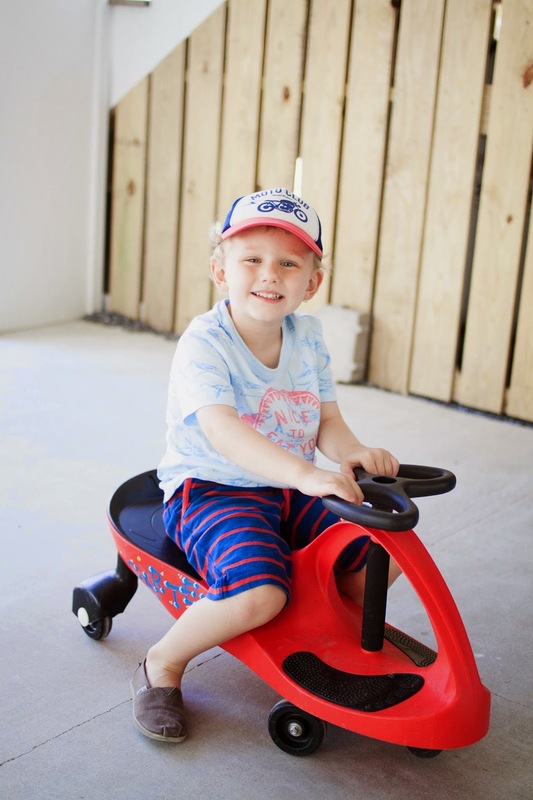 Each of my boys were gifted with their own PlasmaCar early last year and they have quickly become one of the top THREE toys played with in our household. What initially started as vehicles to race around the playroom quickly morphed into kid-powered cars that race up and down the driveway, sidewalks and even down to the neighborhood park. We love our PlasmaCars so much, in fact, that we often travel with them to and from the beach! No batteries, no gears, no pedals. Just kid-powered fun! This toy is intended for ages 3+ and is not suitable for use on wood floors. I do recommend that a helmet is worn while riding! Entry is simple. Please follow the instructions on the Rafflecopter widget below. Must be a US resident with a valid US mailing address to receive prize. No purchase necessary to enter although if you simply cannot wait to purchase your own PlasmaCar, you can do so here. Purchases do not increase your chance of winning. Good luck to all those who enter! My five year old wants an American Girl doll, and my almost three year old wants a silver Spider Man. Which one? I have too many. Ha! I'm going to go with my 3 year old. She loves anything Frozen right now, so this would be a good alternative! Beckett is 9 months, so I'm thinking we're going to get him an activity table - he loves pulling up on stuff right now. Frozen is the current flovor of themonth, anything Frozen. My three year old son is loving Paw Patrol andNinjaturtle stuff at the moment and my four year old daughter loves riding her bicycle now that she can do it without any help. She's so proud of herself. My youngest daughter is 3 and loves Barbies!! My 4 year old daughter doesn't really get Christmas yet, but she wants a Christmas tree. How Fun! MY 3 year old loves anything princess, wants a captain america doll, an american girl type doll and horse, a jeep and fairies. My son is too young to chose for himself. My son is 6 and he loves games of all kinds...board, video, ipad games. He also loves nerf guns and motorcycle tracks. My daughter is 2 and she loves collections of any kind. She loves Melissa and Doug toys like the felt food, cookies, and sticker books. My daughter is 8 years old and she wants a scooter, an Elsa dress, and Mario and Luigi dolls. My two year old son really loves our neighbor's Nerf stomp rocket. I think he may just find it under the tree this year! My youngest 4 he loves his the innotab, 6 yr. old loves action figures and superhero 3ds games, 7 yr. old is really into skylanders giants right now! My 3 yr. old loves his innotab, 6 yr. old action figures and superhero 3ds games, 7 yr. old is really into the skylanders giants right now. My daughter Piper wants a barbie house! My 5-yr old girl loves puzzles and games, esp. dominoes. My 20-mo old boy loves Little People toys and Lego Duplo. My son is 17 months and he loves his drum set. My 4 year old is all about princess dolls and dress up! Looks awesome! My 2 1/2 year old little guy would love this! My daughter is 20 months and her favorite toy right now our family cat's tail :( When the cat is hiding she loves her KidKraft Kitchen set! No batteries and kid powered- BIG FREAKING WIN-WIN. im gonna go with my grandson hes 6 months and loves spongebob and light music toys...my youngest son love army toys but wants a scooter this year..
My 3 year old son LOVES the Fisher Price Imaginext toys (especially if they're Batman ones). He seriously has so many of them, and is getting quite a few more at Christmas. He plays with them for hours. It's cute. My son is 2 and loves his fire truck toy the most! 3-year-old is obsessed with all things Legos. But I can't wait to see him open the magna-tiles from Santa this year! Almost 1-year-old is into music and stacking cups. Her big Santa gift is the Fisher Price Disney castle, and I know she will love it. She's 2 1/2 and her favorite toy right now are the disney princess magic clip dolls... and the glitter glider dolls. My daughter just turned 3 and loves anything Frozen or princess related! Jackson will be one on the 22nd and LOVES anything Elmo! I have a 5 year old son, he has a bow & arrow that he loves and he likes any tractor or firetruck toys too! My 3 year old daughter lover her babydolls!! He Is 3 He Loves Anything Cars, Especially Hid Vtech Go Go Smart Wheels Garage! I would love one of these for my son!! Our daughter is only 7 weeks old so she is only grasping soft toys and her O-ball. She likes her Baby Einstein Octoplush. She also likes her starfish light up soother but that isn't really a toy. 3, 2 and 7 months. Little people, pirate ships and Sophie teething toys! My little guy is only 5 months old, but he loves his Sophie the Giraffe and his rattle ball. 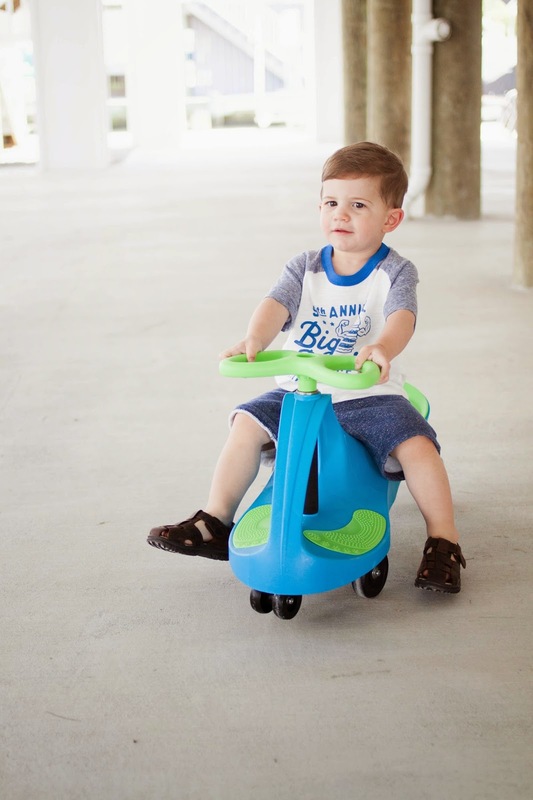 My son is due to arrive in March but I know my sweet nephew would love to use the scooter in the mean time! Age 5 - legos and ninja turtles! My daughter is 3! Right now she is obsessed with anything Frozen! Connor is 4, Caroline is 2 months. Connor's favorite toys are his trains! My 3 year old wants a Plasma Car! He tried one out at the mall in Syracuse NY and fell in love with it! And it was so easy for him to figure out how to use! My three year old loves her dollies right now (including a Darth Vader bear), but she really wishes it was warm enough to play with her Hello Kitty sprinkler. My daughter is almost 3 and wants all things Elsa!!!! My daughter who is 2.5 wants a game, so I've gotten her a card game called Hiss. My son is four and he likes his to play with his Nintendo Ds. My son is 5 and currently loves hot wheels. My 5-year-old daughter loves her Lalaloopsy Oven! This looks great for my boys (ages 4 and almost 2). Our fav toys at the moment are rokenbok. paw patrol figures and vehicles, and play doh!